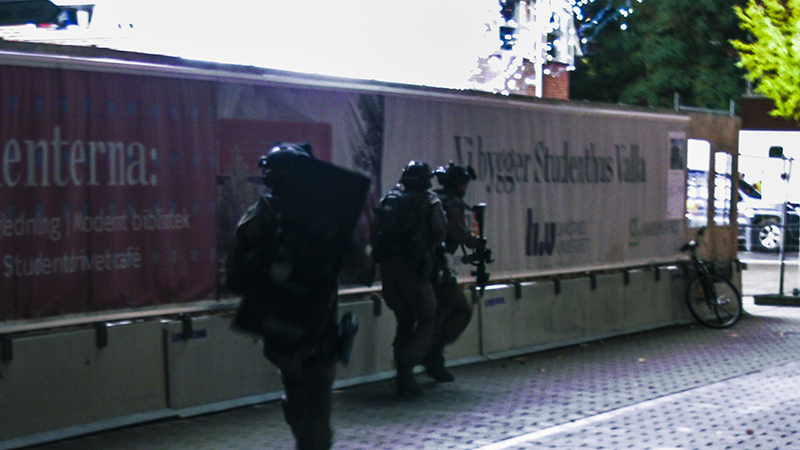 The day after the large police exercise at Campus Valla, everything looks normal. Nothing can be seen of the barriers, explosions, task force personnel or extras. The police are always carrying out exercises, at different scales, of different types, and at all possible locations in public spaces. This particular exercise was relatively large, since it included specialist units from the police forces of other countries. The scenario chosen for the exercise was a terrorist event, and extras were needed to take the roles of wounded and killed. 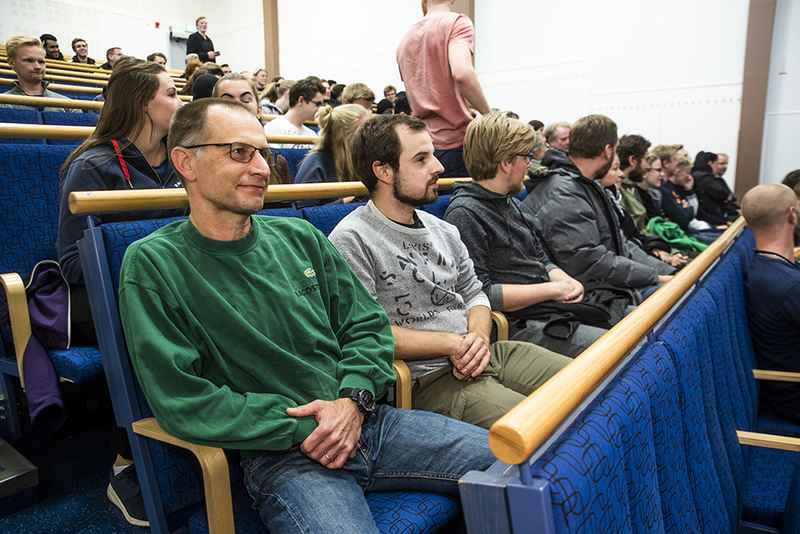 Many people had answered the call for participants and around 100 extras, mainly students and co-workers, gathered at Vallfarten for information. Mikael Söderström from LiU IT and his son Joakim, who is taking the upper secondary teacher programme at LiU, were two of them. Did you receive information in advance from the police? 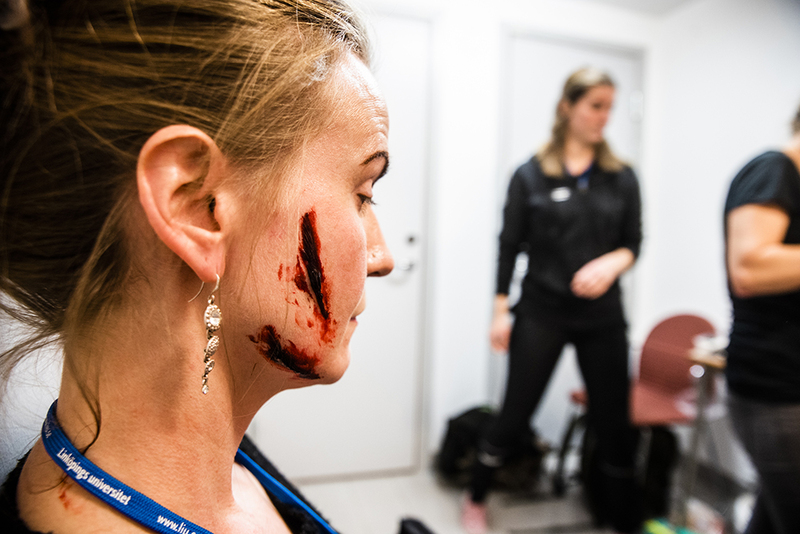 Giving the extras injuries using make up is time-consuming, even though the police have brought in experts. But the time spent means that the results are extremely realistic. The first supposed bomb exploded at 8.00 pm, and military personnel and police came running. The exercise was under way. Most of the action took place in the Key and D Buildings, which were closed to non-participants. Access to the main university thoroughfare, Corson, between these buildings was not permitted, but so late in the evening only a few cyclists and pedestrians had to take a longer route around the D Building. The exercise was over by midnight. “The exercise went well, the police are satisfied and are extremely grateful to LiU. They send a special ‘Thank you’ to all those who joined in, and to the companies and others who allowed their premises to be used”, says Annevi Fredäng.